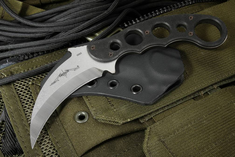 High Quality Karambit Selection - Folding and Fixed Blades. 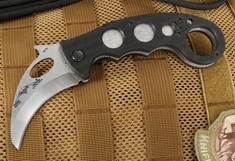 KnifeArt.com is proud to sell some of the best karambit knives made in the U.S. 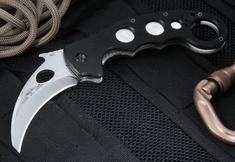 The karambit design is believed to have originated among the people of West Sumatra where, according to folklore, it was inspired by the claws of big cats. 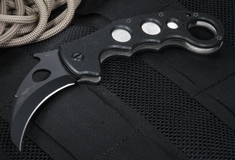 As with most early weapons of the region, it was originally used as an agricultural implement designed to rake roots, gather threshing and cut rice. 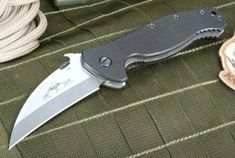 As it evolved, the blade became more curved to maximize cutting potential. 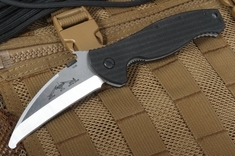 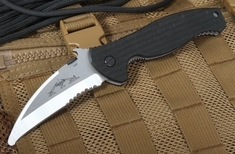 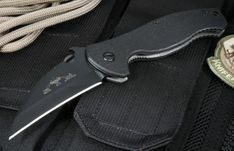 Our top brand that makes karambits is Emerson Knives, a leader in the field of tactical folding knives. 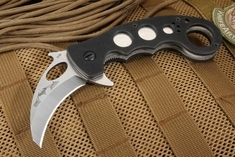 Karambits are made in both a fixed blade and folding knife models.